It is amazing to see how much damage hard water does to a family’s home without them even knowing. Having hard water run through your pipes is a detriment to your family home, for it is the reason that your bathroom shower doors and curtains have a caked-on white film that is impossible to get off. Hard water is behind your faucets and fixtures being tarnished and, one could arguably say that hard water is the reason that your house demands less money on the marketplace because your bathroom fixtures look worn down and damaged, not to mention the expensive shower doors that are ruined by hard water as well. Can you imagine feeding your baby hard water? The same stuff that causes the mineral deposits that slowly clog all of your pipes and drains, and causes all of your fixtures to look as if they had been tumbled through rocks? The notion is almost preposterous. There are two types of hard water, good hard water and bad hard water. While both types of hard water are relatively bad for the appearance of your house while ruining your pipes and drains, one type of hard water can actually be quite healthy for you while the other type of hard water can actually slowly destroy your body. See, technically, mineral water is hard water. Mineral water is water that trickles down from mountains into springs and is taken by manufacturers who lightly filter it and serve it to their customers in bottles. If this hard water were running through your pipes, you would still have water spots all of your dishes, sink fixtures that look like they were plastered with chalk and your hair would look like it was rubbed in sand, brittle and try, although it would be healthy for you to drink. Then there is bad hard water that trickles into suburbs water supply from syringe-infested inner-city water drains which is then lightly filtered and sent to your suburban home for your children to bathe in and consume. Soft water is essentially rainwater. Rainwater does not have any minerals in it at all whatsoever. If you were to wash your hair in rainwater, it would not damage it, it would actually repair it and provide it with some the natural moisture needed to make it manageable and look beautiful. Your dishes would look flawless, every time and your clothes would not look dingy and worn out, as they would if they were subjected to hard water they’ll look as new as the day that you bought them. 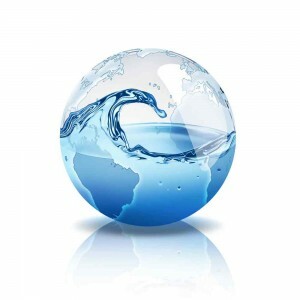 If you have a hard water problem and need to speak to a professional about your options, please contact us. Knowing about the water in your Annapolis home is important. Call Heidler Plumbing at (410) 268-7191 to learn more about treatment options!